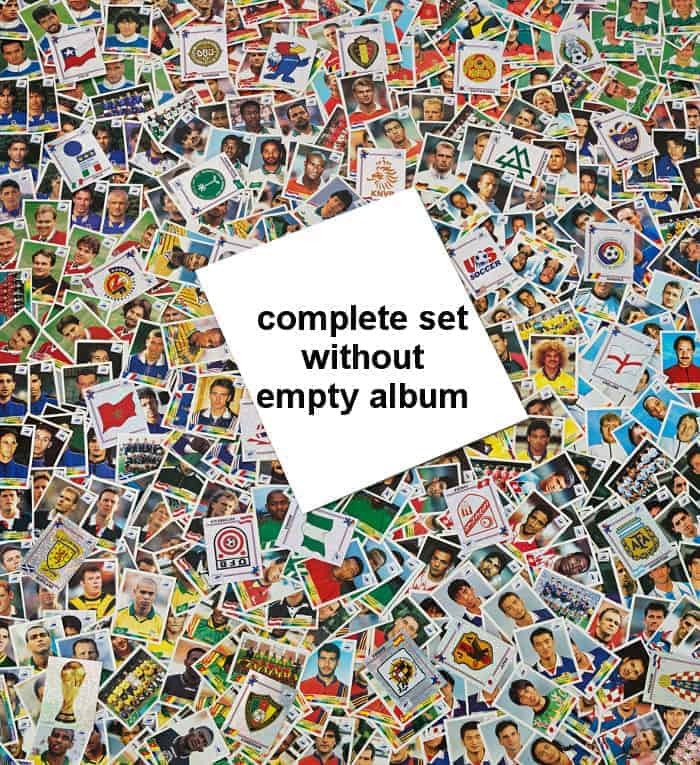 Complete set of Panini France 98 stickers collection without album. 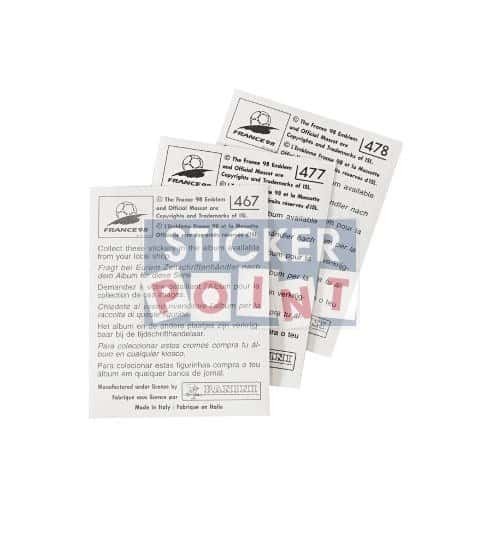 All the stickers are unused and have just been removed from the packets and put into protective plastic bags. 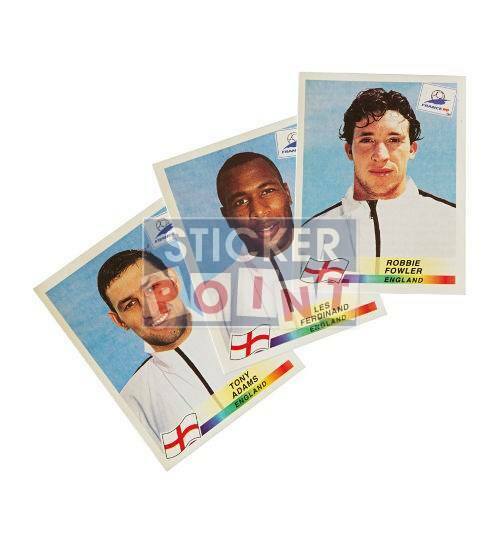 The so-called "3 rare english players" (#467, #477 and #478) were not included in any sticker packets and could only be ordered directly from Panini. 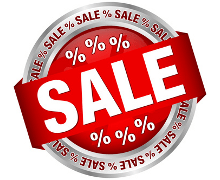 With this set you will get them inclusive. 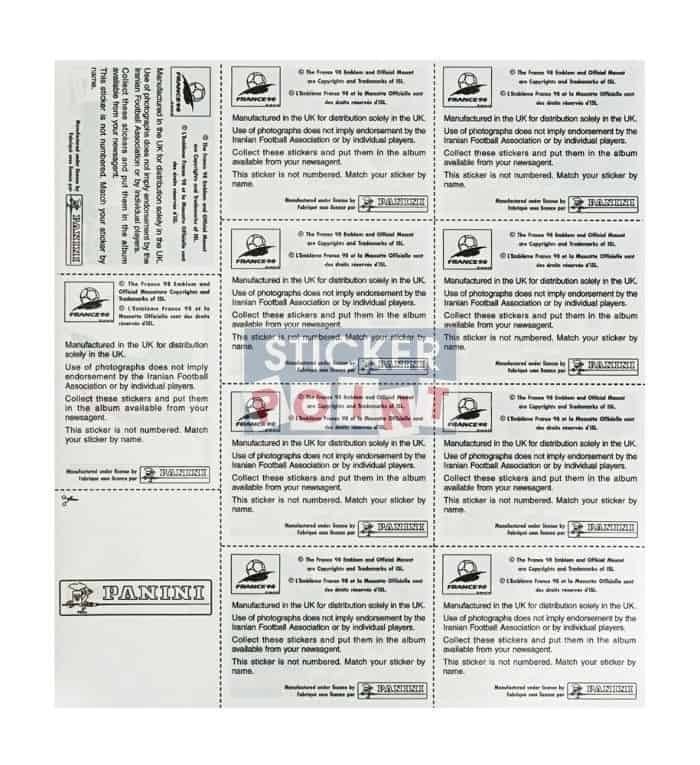 Panini had no license to release the ten Iran stickers (#417 to #426) so they have been released later on a separate sheet by a UK publisher. This is why the badge of Iran is not a shiny sticker but a regular one with white background. 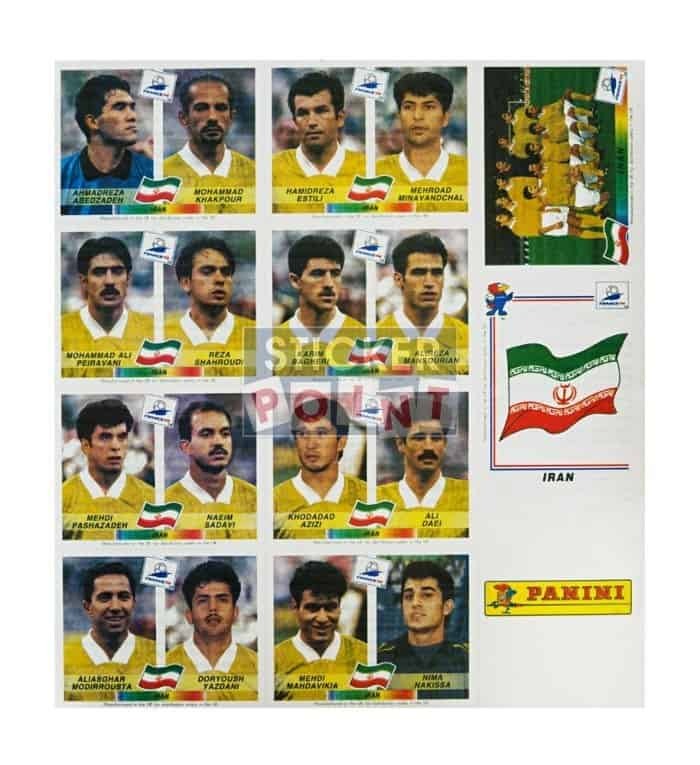 By using the "Version" option you can easily choose whether to buy this Panini France 98 complete set with or without the rare Iran sheet.